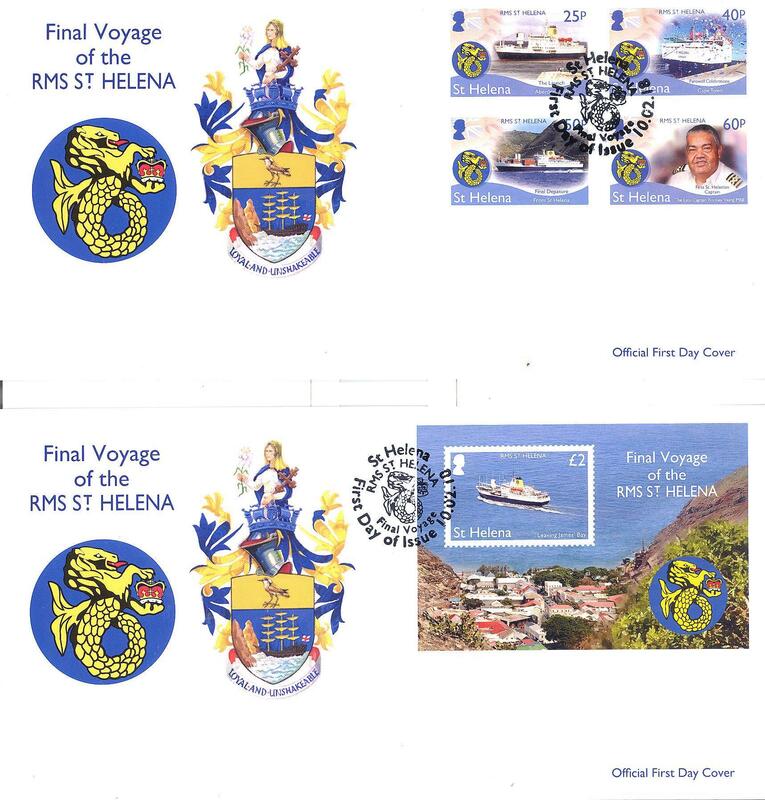 St Helenian stamps are a prolific source of revenue for St Helena Government. They have become popular with tourists and philatelists around the world. 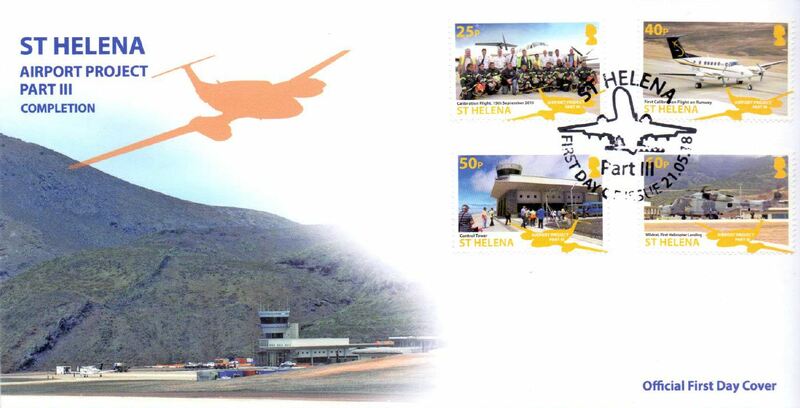 The St Helena Post Office aims to release six stamp issues per year, entirely at the discretion of the ‘Stamp Advisory Group’. Conceiving of a stamp issue starts with the Stamp Advisory Group, chaired by a member of SHG Corporate Finance and consisting of members, Customer Services Manager (Postmistress), Assistant Customer Services Manager (Postmistress’s Assistant), a member of the SHG Press Office, and the SHG Postal Officer. Members decide on a theme, which could include local or international issues relating to St Helena – endemics of St Helena, British Royal engagements, or an anniversary of an internationally renowned historical figure that has an affiliation with St Helena, e.g. Charles Darwin. When a theme has been decided, it is the job of the postal staff to research and collate information relating to the stamp issue. Images are sourced locally and overseas, ensuring that permission is granted by owners of images before use. Once all information is collated, it is sent to the UK to be processed. 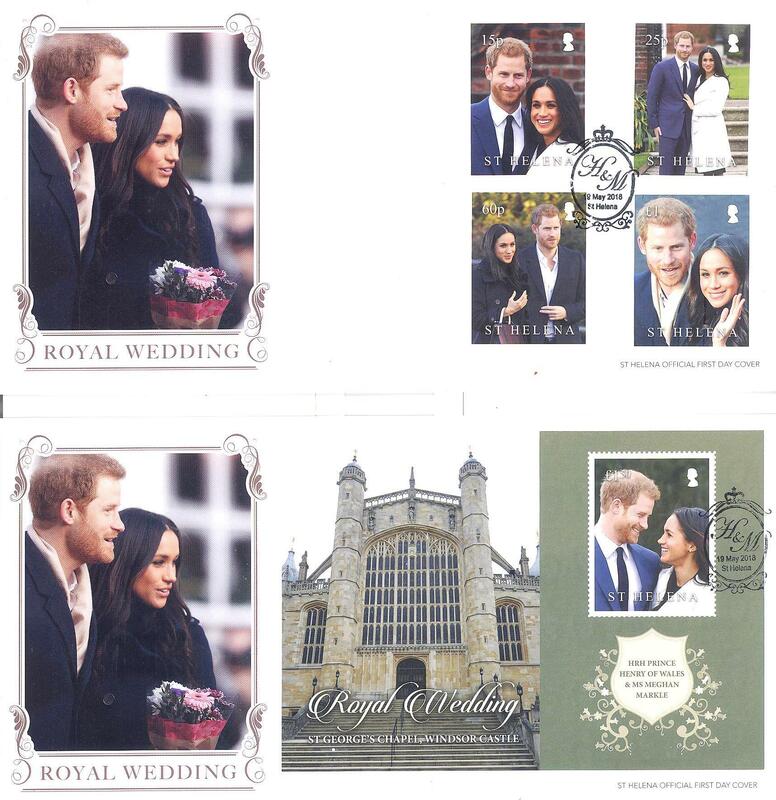 All stamps have to be granted approval by Her Majesty before going to print. Her Majesty has strict reservations regarding British Overseas Territories stamp issues, including ensuring the protection of Her Majesty’s interests overseas, and above all the protection of the dignity of the Crown. Royal approval granted, the issue goes to print. 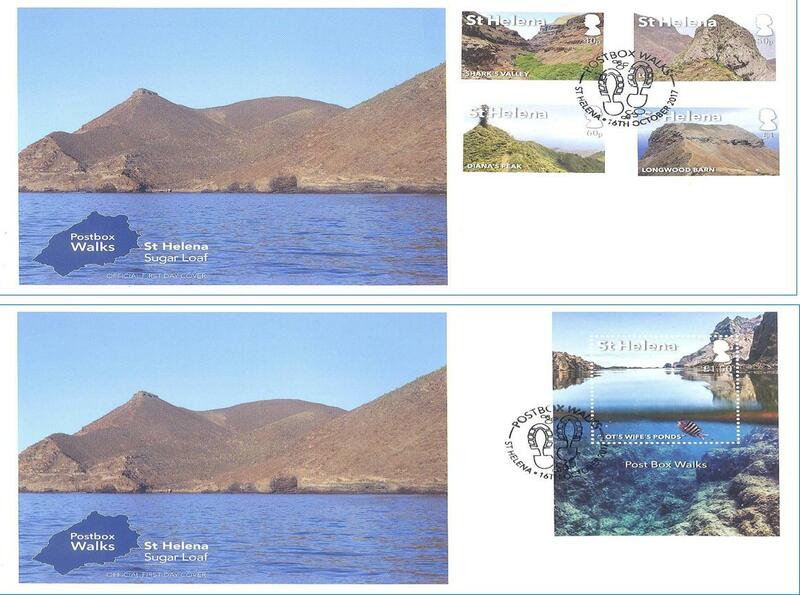 The stock is sent to St Helena, and is received in due course by the St Helena Post Office in mint condition. 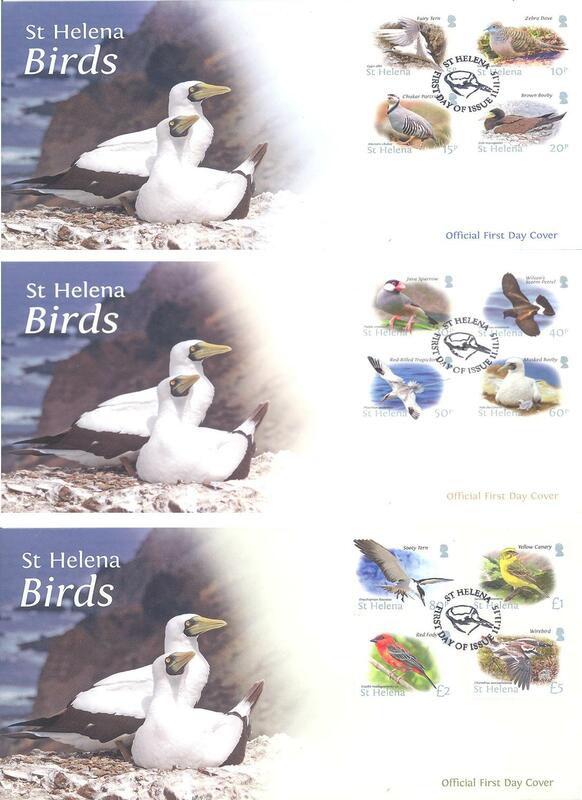 All new St Helena Stamp Issues will be posted here. Local customers can purchase merchandise from the Customer Services Centre in Jamestown. Overseas customers can contact the U.K agent on e-mail enquiries@harryallen.com to place an order. £2.00 Souvenir Sheet – Depicting the landing of the Inaugural Airlink Flight in October 2017. The RMS St Helena served St Helena for over 25 years as a lifeline and valuable link to the ‘outside world’. Rice, Teabags, Washing Machines, Cars, People – she carried it all. Over the years, she has garnered a special place in the hearts of ‘Saints’ due to her unwavering reputation for loyal service to St Helena and its community. She was decommissioned from service in February 2018, due to the opening of the Airport on St Helena. £2.00 Souvenir Sheet – Depicting the RMS leaving Jamestown. 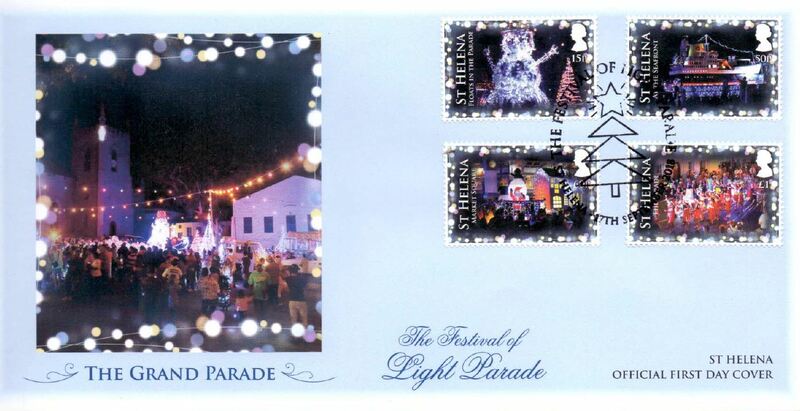 This issue depicts four flowers that bloom at around Christmas time on St Helena. 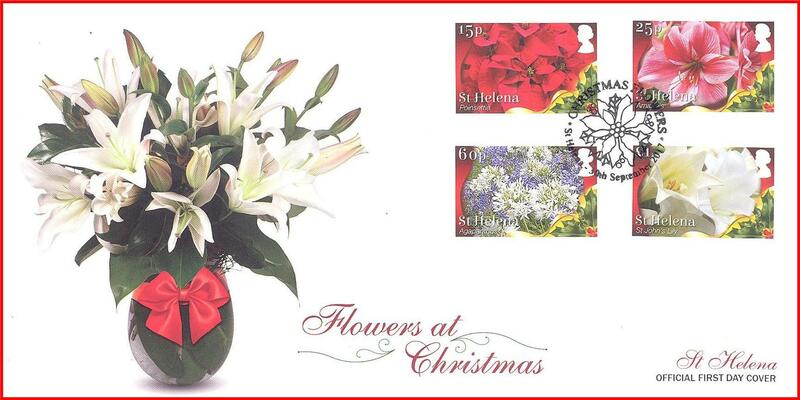 For most St Helenians these flowers have an association with Christmas on the Island. They are picked to beautify homes during the festive season, and to decorate loved-ones’ graves. 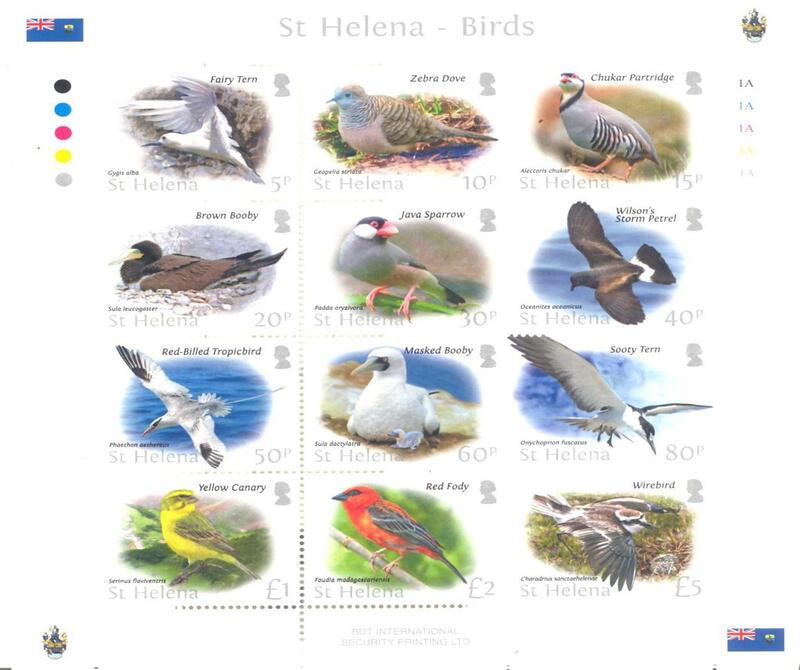 This issue consists of four stamps depicting walks on St Helena that are marked with a Post Box. The Post Box is usually situated at the end of the walk, where the walker can then collect a unique stamp as evidence of their efforts. The walks range from easy to hard, are usually off the beaten track, and encapsulate the most beautiful and rugged parts of St Helena. The Definitive Issue is an issue that is kept on the philatelic and postal counters for a period of five years. The issue comprises the fundamental rates of the postal tariff, and is used to support Commemorative Issues’ denominations. The theme is usually a dominant aspect of Island life, e.g: birds, fish, endemic flora.